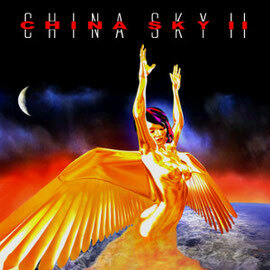 Re-birth-band, CHINA SKY will release their 2nd album "China Sky II" on February 20th through Escape Music. 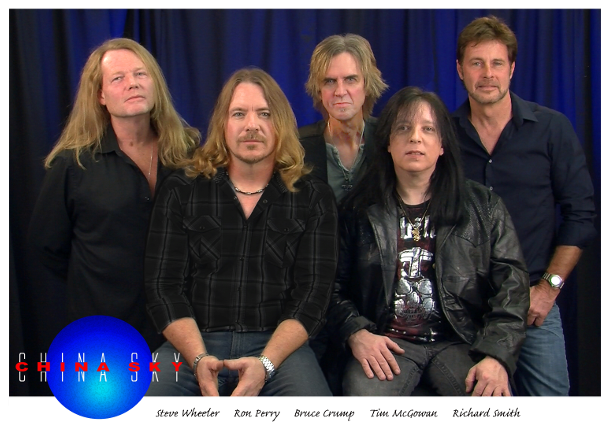 Originally CHINA SKY was formed in Florida, USA, in 1987 by guitarist Bobby Ingram (ex-Danny Joe Brown, Molly Hatchet). After that, vocalist Ron Perry and bass player Richard Smith joined the band. They recorded a self-titled debut album in 1988, and the band split up soon afterwards. 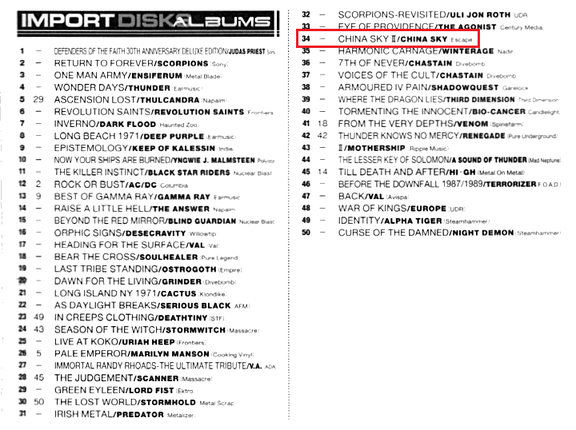 In 2015, CHINA SKY is about to make a fresh start with this new album. Produced by Ron Perry and mastered by Mike Lind (DIO, Candlemass, IMPERA). If you are a fan of Melodic Hard Rock, you should check out this band.